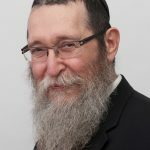 Rabbi Shmuel Braun is a master teacher, mentor and lecturer, known particularly for connecting complex concepts in Jewish mysticism to everyday life. Combining his devotion to Torah with a passion for the humanities Rabbi Braun has developed a unique, progressive and inclusive style of teaching that engages a wide spectrum of people from diverse backgrounds. 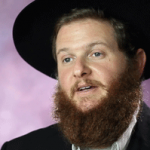 Rabbi Asher Crispe is the Executive Director of Interinclusion.org. 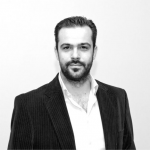 He is a technology expert and futurist as well as a media aficionado. He currently directs Vermont Future Now, a civic innovation network focusing on the future of education, healthcare, energy, jobs, and government in the state of Vermont. 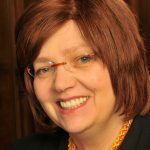 Dr. Arnie Gotfryd, PhD is a bioscientist, educator and entrepreneur, specializing in neurodevelopmental interventions to treat ADHD, Autism and Learning Disabilities. His award-winning university course on Faith and Science and his hundreds of published works including the acclaimed volume, Mind Over Matter: The Lubavitcher Rebbe on Science, ensure his presentations are as authoritative as they are inspiring and entertaining. 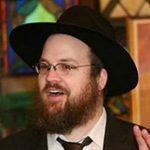 Rabbi Dr. Chaim Dovid Kagan received the B.Sc. and M.Sc. from the Imperial College of Science, London, UK, and the Ph.D. from Bar-Ilan University, Israel. Dr. Kagan served as the Myron Bantrell Fellow in Applied Physics at the California Institute of Technology. 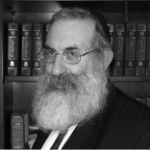 At present, Rabbi Dr. Kagan is the Dean of the Monsey Beis Chaya Mushka Girls High School, and the Rabbi of Congregation Bais Menachem, Wesley Hills, NY. 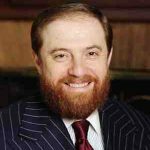 Rabbi Dr. Meir Levin is a prominent hematologist-oncologist, an Associate Professor of Medicine. He has written and lectured extensively on Jewish and scientific topics. He authored many articles on Torah topics and published four books on Judaica. Vukan Marinkovic (MA Phil, MA Relig, MA J Phil) is a doctoral student at Yeshiva University specializing in modern Jewish Philosophy, philosophy of dialogue and phenomenology of religion. Dr. Alexander Poltorak, who holds a PhD in theoretical physics, is a noted lecturer on the intersection of science and Torah. 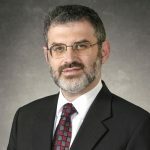 He is currently an Adjunct Professor of Physics at The City College of New York and Research Fellow at the CUNY Institute for Ultrafast Spectroscopy and Lasers. He writes a blog on Torah and Science, QuantumTorah.com. Valeria (Leah) Poltorak is a biophysicist and molecular biologist. She is the President of a genetics company, Ryogen LLC. She is a frequent speaker on the topics of biology, bioethics and Torah. Her article, Talmudic Embryology – Curious Insight of the Jewish Sages, was published by B’Ohr HaTorah.